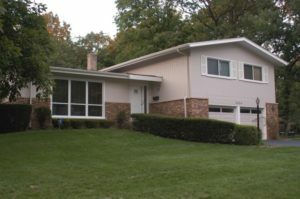 Should You Make the Investment to Install Replacement Windows and Doors in Skokie, IL? There are many expenses that can come up as the result of owning a home. As a homeowner, you need to make sure that you are covering the mortgage, paying the utility bills, and keeping up with regular maintenance and repairs. At times, it makes sense to spend a little more money so you can improve the appearance and quality of your home. If you have money set aside for home improvement projects, consider the benefits of replacement windows and doors. Here at Scientific Home Services Ltd, we will gladly assist your family with these upgrades. We offer these products for homes in Skokie, IL and the surrounding neighborhoods. When you are going to spend money on your home, it makes sense to maximize your investment as much as possible. Look for solutions that improve both the function and appearance of your property. Sacrificing appearance for function can have a negative impact on your curb appeal. At the same time, sacrificing function for appearance can frustrate you when you are going about your daily activities. Replacement windows and doors are a great investment because they provide a full range of benefits for your family. When you invest in these upgrades, you will notice an immediate impact on the external and internal appearance of your home. At the same time, high-quality materials make it easy to open and close the windows at your convenience. Are you worried about the cost required to replace the windows in your home? Here at Scientific Home Services Ltd, we work hard to offer the best products at a price you will love. We are upfront about the cost of your replacement windows and never cut corners to save a little money. Indoor Sunlight: Just because you are inside doesn’t mean you can’t enjoy the sunshine. High-quality windows will bring in the natural light, helping to boost the appearance of each room. Curb Appeal: The appearance of your home sets an impression for visitors. Upgrade the windows and you will transform the curb appeal. Energy Efficiency: Are you using more energy than necessary each day? If you aren’t proactive with energy efficiency initiatives, then your daily actions could have a negative impact on the environment. New windows offer a great place to start when you are ready to improve the efficiency of your home. Utility Costs: Ongoing utility expenses are unavoidable. But, better energy efficiency helps you to reduce those costs. Making the investment right now will reduce your monthly utility bills going forward. Family Safety: The safety of your loved ones is affected by the quality of your home. Old windows are often targeted by thieves. Install replacement windows with modern technology to improve the security of your home. Peace Inside: Low-quality windows make it hard to relax if you can hear the neighborhood noises all the time. Upgrade the windows to block out the barking dogs, yelling kids, and cars driving by on the street. Home Value: When you decide the sell the property in the future, you need to be sure you can ask a decent price. Investing in your home now will boost the value when you are ready to list it on the real estate market. Do you want to enjoy these benefits for your family? Then you need to get started with your window replacement projects! One of the most important decisions you can make is the window installer you choose for your home. At Scientific Home Services Ltd, we can bring high-quality services to your property. We are a family-owned business that has been around since 1928. We have worked hard to develop an unblemished reputation in Skokie, IL and we want to show you why our team is leading the industry. If you are interested in learning more about our services, schedule a consultation and ask all of the questions you have on your mind. During this free appointment, we will inspect your windows and provide a complimentary estimate. This conversation gives us the opportunity to learn about your goals. At the same time, we can make recommendations about how you can improve your home. For more details about our services, talk to our team at Scientific Home Services Ltd. You can visit our showroom at 5639 W Howard St, Niles, IL 60714. Or call to schedule your free estimate: (847) 752-0370.